We offer custom reports with Exports for your Excel Templates, CSS, SQL and HTML. (charges do apply). Unlimited billing entities and providers, electronic billing capability, includes up to 3 seats / workstations. 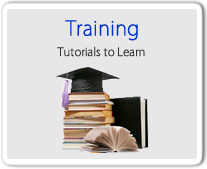 Set up training is included. *Lease option available. (FileMaker Pro server required after 4 seats. >10 seats call for quote.) *Lease option available. One group and 2 providers, includes electronic billing capability and auto-payment posting, does not include networking, electronic statements, Client or Clinical Modules, or HL7 interfaces. Ideal for specialties and practitioners with a single workstation. 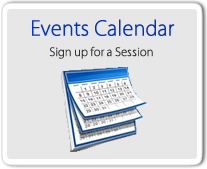 Monthly Subscription - Unlimited Support, Training and Software Upgrades. Includes Document Plus Interface Option. *All software includes the Easy Billing Integrated Scheduler. 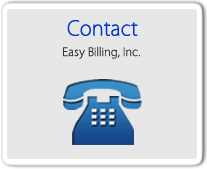 Easy Billing provides upgrades for it's Platinum/Gold/Deluxe/Standard or Lite billing programs. HL7 inbound interfaces from pathology LIS, clinical billing hospitals interfaces, and other EHR/EMR software as available. Please call for appointment to determine: possibility, cost and time frame. HL7 outbound interface for patient demographics only. Data conversion via HL7 interface from other billing software up to 20,000 patients, for higher volume call for quote. ​ *Easy Billing Professional and Pro Lite are FileMaker Pro 13 - 17 compatible. Price List effective date: 3/13/2013. *Lease option available through Advanced Medical Leasing, as low as $185.00, 36 months, $1.00 BO. Please Note: Upgrades or new files because of disaster recover will have a charge. Server upgrades are higher. Please ask for a quote.